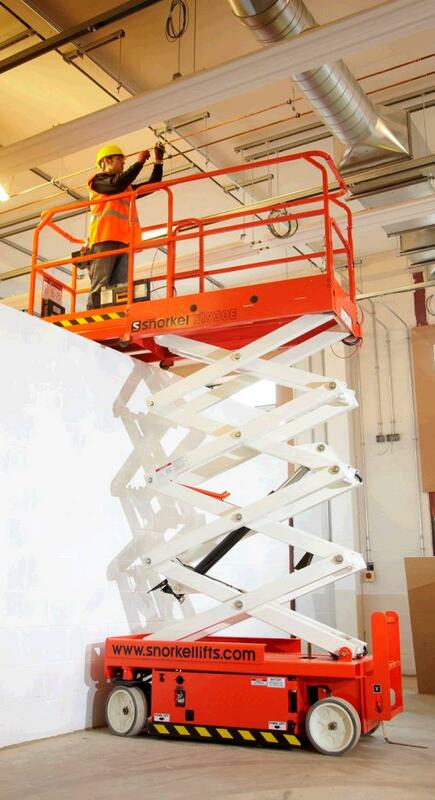 Warehouse type scissorlift - for hard, level surfaces only. Non-marking tires, 2 wheel drive and steer, 2 drive speeds. 25% grade travel, tilt alarm, proportional controls for smooth operation. 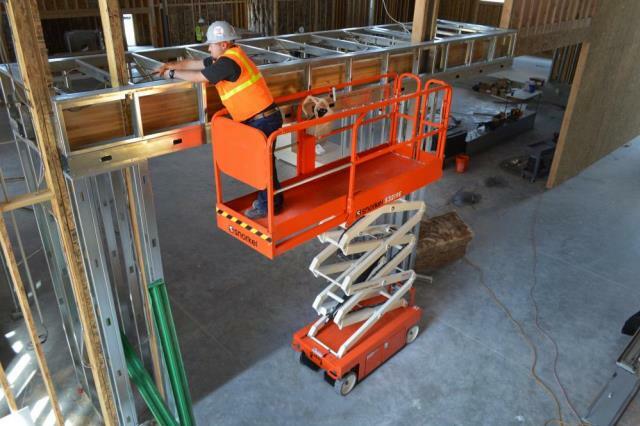 - 19' Platform height - 25' working height. - Drivable at full 19' height. - 500 lb platform capacity w/ 3' rollout extension. Must be plugged in every night to recharge batteries. 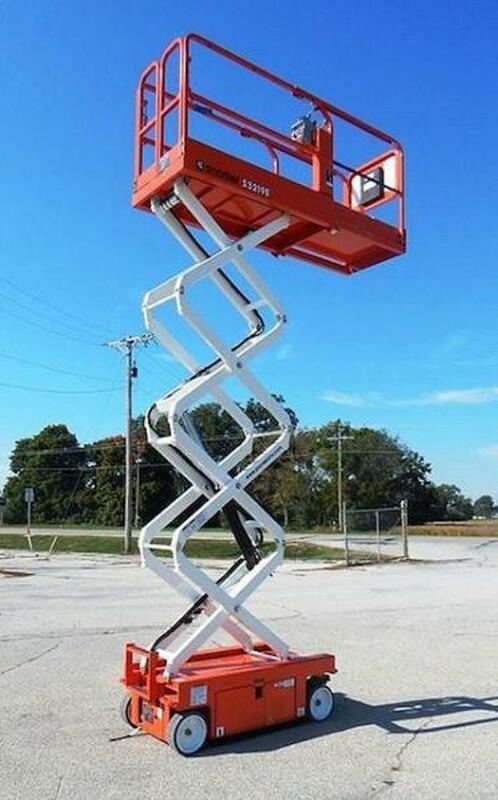 * Please call us with any questions about our scissorlift 19 foot x30 inch snorkel rentals in Oak Grove MO, Blue Springs MO, Independence MO, Lexington MO, Odessa MO, Independence MO and Western Missouri.